Hey you guys! How are you doing today? It's been awhile since I have posted something that wasn't a scheduled review. As some of you know, I moved back to college last Saturday, so I've been getting situated and dealing with that. A quick summary of my personal life: I got a research position at an Orthopedic and Tissue Engineering Lab at one of the best hospitals and research centers in the world, so I'm really happy about that. On the other hand, I lost my job at the school of medicine because they decided they no longer wanted to fund that department. However, this hasn't stopped me. I've been applying to other jobs and got an interview (if you can call it that) at the school of medicine doing research in a neuroscience lab. The interview was very weird, and I'm not entirely sure if I'm going to get the job or not, but we shall see. On to reading, this has been a fantastic reading week. It's been one of my best reading weeks in awhile. I reread the entire "The Princess Diaries" series and loved every second of it. I'm going to be doing a recommendation post on why everyone should read it and how truly influential this book is. Today I'm going to start reading "An Ember in the Ashes" for the "Cover 2 Cover" Book Club, which if you haven't already joined, you can join here. We will be having a twitter chat for the book next Saturday, September 3rd, using #Cover2CoverBC at a time to be determined. However, if you would like to see my authentic thoughts while I read "An Ember in the Ashes" follow me on twitter @nerdgirl_review or follow #SierraReadsEmber. Well, that's all for me. How has your week been? What do you plan on reading? Have you read "An Ember in the Ashes"? If so, thoughts? Please leave a comment down below because I would love to hear your thoughts. To ensure you see my reply, make sure to click "Notify Me". 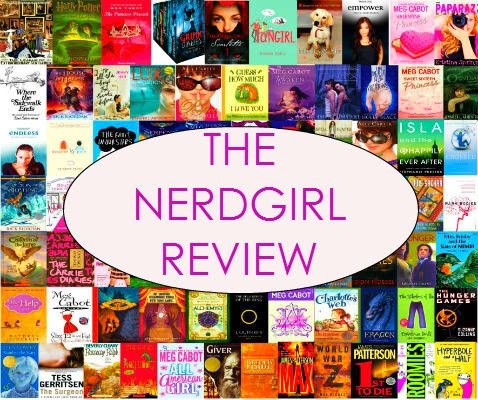 Share book reviews and ratings with Sierra the Nerdgirl, and even join a book club on Goodreads. ★ Why does this book exist?